We’ve now extended the sale for an extra day – discounts will end on Tuesday 3rd July 2012! It’s that time of the month again, and we have some super discounts for you! Hurry, though, as the offer only runs until Monday 2nd July. Update: These mini-kits have been now replaced by the new Halo Cigalike Bundle. To get 10% off all our smoker’s halo refills use the code June2012. Click here to go to the refills page! Order 6 bottles of our imported e-liquid range and get 20% off your order. 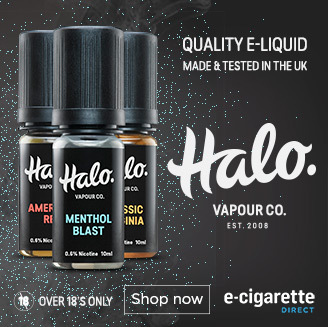 Click here to choose the e-liquid flavour you want! Know someone who could benefit from this special offer? Please share using one of the buttons below. End of year special offers: Free Kit and Refills! Are you up for a Vaper’s meet up? Smoker’s Angel Sweepstake: Win £600.00 Worth of Goodies!